The Solomon Islands were dedicated for the preaching of the gospel and missionary work on 10 March 1987, by Elder James E. Faust of the Quorum of the Twelve Apostles. He was accompanied by his wife and Elder and Sister John Sonnenberg of the Pacific Area Presidency. They went to Henderson Field at 5:15 in the morning and in the area of the four monuments, dedicated the Solomon Islands for the work of the Church. Imo Ta'asi had been baptized the previous year at the Church-owned Brigham Young University, in the United States, and Peter Joseph Salaka, a member of Parliament, had been baptized the previous year in England by Ed Pinegar. The first missionaries in the islands were Elder E. Crawford Jones and his wife, Sister Judith Jones, of Moses Lake, Washington, United States. They arrived in the islands in February, 1995. President John Gibson of the Papua New Guinea Mission later sent two pidgin-speaking Polynesian missionaries from Papua New Guinea, Elder Glenn R. Cockburn from New Zealand and Elder Sa Francis Togia from Australia. These two missionaries began the first missionary work to the people of the Solomon Islands in their own language. The first sacrament meeting was held in Honiara on 5 February 1995. President John Gibson, Elder and Sister Jones, and Robert Bera were the four in attendance on this day. On 26 April 1995, President Gibson met with the Prime Minister of the Solomon Islands, Solomon Mamaloni, and presented him with a framed painting of Jesus Christ with the inscription "To the Government and People of the Solomon Islands from The Church of Jesus Christ of Latter-day Saints." He also presented to him a specially-inscribed copy of the Book of Mormon: Another Testament of Jesus Christ. The Honiara Branch (a small congregation) of the Solomon Islands District of the Papua New Guinea Mission of The Church of Jesus Christ of Latter-day Saints was formally organized on 4 February 1996. Sixty-two people were present that day including 17 baptized members of the Church. 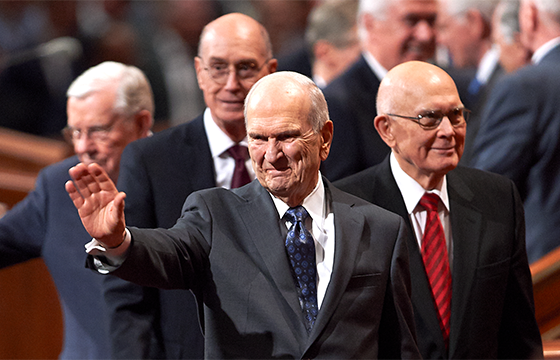 In 1987, there were only three Latter-day Saints in the Solomon Islands. By 1998, there were almost 100 members. The Church continues to grow and bless the lives of the people of the Solomon Islands.